Details: Top Quality Black Filly foal. Jet Black three white legs (dark front right). 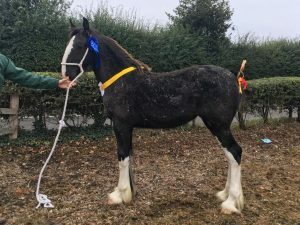 Show quality & huge potential, recently 2nd Prize filly foal at Midland Foal Show in a big class. Registered, Weaned & ready to go. Her Sire recently qualified for the Horse of the Year Show.